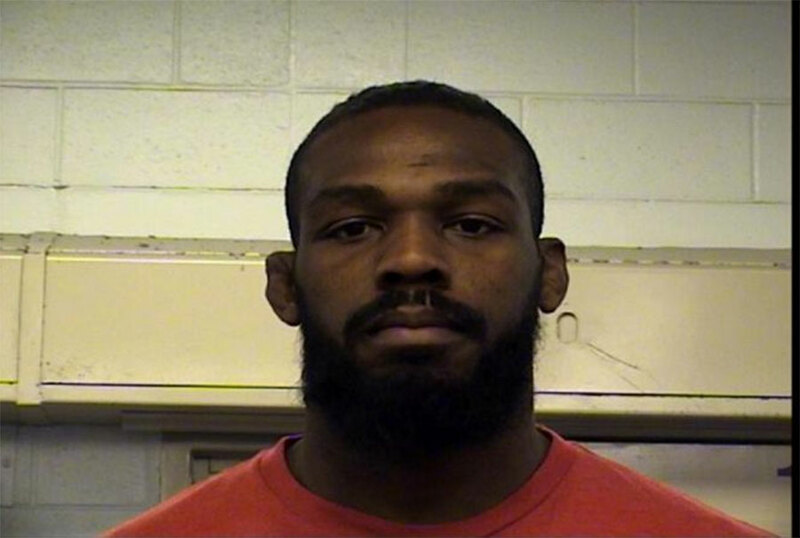 Never a dull moment in the life of Jon Jones (pictured). The former UFC light heavyweight champion was arrested Tuesday in Albaquerquee for violating his probation after receiving five traffic tickets last week, one of which included drag racing. TMZ.com first reported Jones’ latest arrest. Jones was also cited for exhibition driving, weaving, failing to properly display his license, and modifying his exhaust pipe on his Corvette during the traffic stop, which caused quite the ruckus Monday when video of the police officer’s camera vest captured a disrespectful Jones mouthing off to the cop. Jones was placed on 18 months probation after pleading guilty to April’s felony hit-and-run arrest in New Mexico where a pregnant motorist suffered a broken arm. The UFC temporarily suspended Jones and stripped him of his title. The controversial 28-year-old copped a plea in September and as reinstated by the UFC the following month. Jones is currently slated to challenge champion Daniel Cormier, who Jones dominated 14 months ago at UFC 182, April 23 at UFC 197. As of now, that rematch is still slated to headline the pay-per-view broadcast. Of course, this wasn’t Jones’ first brush up with the law. In May 2012, Jones was arrested for driving while intoxicated in New York after wrapping his $190,000 Bentley around a telephone pole. After pleading guilty, Jones was fined $1,000 and had his driver’s license suspended for six months. He also was ticketed in January for driving without a license, registration or proof of insurance. However, Jones avoided any serious trouble last Wednesday by making a $100 donation to charity and agreed to not receive any further citations for the next 90 days.